Elyse has been in hiding for most of her life. Only now she’s hiding with William, and she knows who she’s hiding from. The Council wants a child Elyse and William have yet to conceive, a child who will be the next oracle, and who will provide the final piece to a plan Christoph has been organizing for years. Charged with leading the rebellion against Christoph and his Council, Elyse feels well out of her depth. But she has good friends and strong allies who are willing to fight with her to the end, regardless of how far they have to go, and how many lives will be lost in the process. They have one goal: to live freely and openly with the rest of humanity, out from under The Council’s oppressive rule. 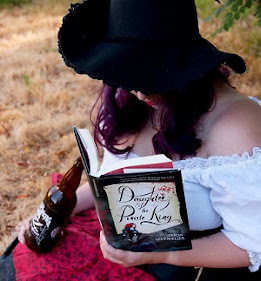 The stakes could not be higher for Elyse and the Descendants longing for freedom. They'll have to learn to fight if they want to stand up against The Council, and to find allies in a world ruled by their enemies. The hardest part of waging a war is knowing who to trust. Elyse knows their uprising will change the world. She doesn’t realize it will change her, too. Today I am hosting Jessica Therrien on my blog. She has written a great series called "The Children of the Gods." Welcome Jessica it was great to have you. Hello! I’m Jessica Therrien, author of the Children of the Gods series. If you’re here as part of the tour for Uprising (Children of the Gods #2), thanks for stopping by! Ali has asked me about my inspiration behind the series. My inspiration for writing a novel was my search for the next “it” book. I fell in love with the YA genre and worked my way through all the MUST READ books. After a while, I was having trouble finding one that sucked me in the way my favorites did. I looked for months, reading a bunch of books that left me disappointed. Eventually I decided I’d write it myself. After all, I knew what I was looking for. I knew what I wanted to read. I remembered learning in school that certain parts of Greek mythology are based on fact. I thought…what if more than just the city of Troy was real? What if the Greek gods were never really gods, but a supernatural race of people who were misunderstood and mistaken for gods? The island of Gozo has long been associated with Ogygia, the island home of the nymph Calypso in Homer's Odyssey. Calypso, possessed of great supernatural powers, holds Odysseus captive for a number of years because of her love for him before releasing him to continue his journey home. “Uprising” By Jessica Therrien was even better than “Oppression.” “Uprising” was so hard to put down. I was intrigued and fascinated with where Therrien was taking the story. Everything Elyse has to go through in this book, I would have to say I admire Elyse as a character a whole lot more now. I liked seeing how much the characters grew. “Uprising” picks up right where Elyse and William left off being saved by Mac. Mac creates a safe haven for them to live, however Kara finds them and everything goes back into chaos. With Elyse being the last healer and the future mother of the next oracle, the Council was Elyse in their command or prison. Elyse is part of a prophecy meant to start a new war among the descendants to overthrow the Council and to free all of the descendants of the oppression. Elyse finds herself in command of several descendants and they decide to build an army. Elyse and William prepare to protect their people but also prepare for war. Elyse still struggles with having the confidence of leading an army and has the complicated decision of whether or not she can advance her relationship with William. Elyse is aware that she is to be the mother of the next oracle, but she doesn’t want to have a child that Christoph wants to take from her. She doesn’t want to bring a baby into the world where people want to steal her away from her parents. Elyse has a hard time trying to be more intimate with William because she doesn’t want to take any chances, where as William isn’t as concerned because he knows things will happen when they are suppose too. William is a great guy and I admire his spirit a lot. He not only wants to protect the ones he loves but he always wants to fight for what he believes in. He is the prince that every woman wants to fall in love with. William can’t wait to start his life with Elyse. He knows that they were destined to be together, so he wants to make things official and permanent. He wants to go through this war with the woman he loves. 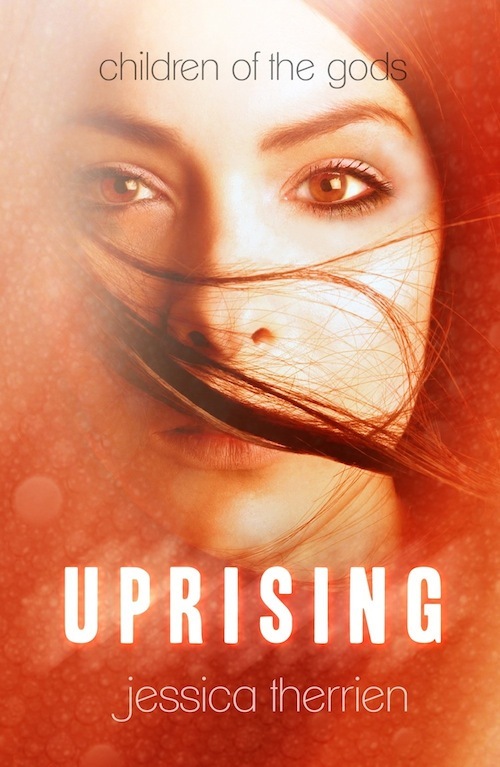 I think “Uprising” was an amazing sequel to “Oppression.” It is fast paced and full of action, suspense, and romance. I honestly couldn’t have asked for a better sequel, I was definitely blown away with this one. The only thing I am slightly worried about is that the ending seemed kind of final. I am hoping this will be a trilogy and that there will be another book, but only time will tell. Thank you Jessica for such an amazing story, I love William and Elyse. I give "Uprising" five out of five bookshelves. Jessica Therrien is the author of the young adult paranormal fiction series Children of the Gods. Book one in the series, Oppression, was published by ZOVA Books in February of 2012 and became a Barnes & Noble best-seller shortly after its release. The second book in the series, Uprising, will be available in May of 2013. Jessica, that's why I began writing - I wasn't finding what I wanted to read anywhere else.